This is a Prehistoric Planet original. 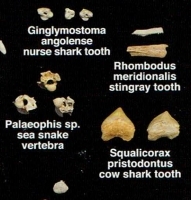 This poster shows 28 different sets of fossil shark teeth, reptile teeth & bones, fish teeth & bones from the phosphate beds of Khouribga, Morocco. 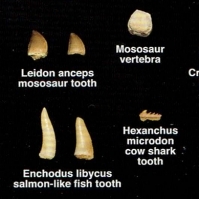 These fossils date from 45-70 Million Years Old. 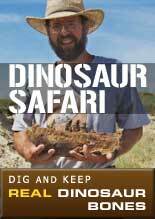 The fossils are shown 36% of life size. 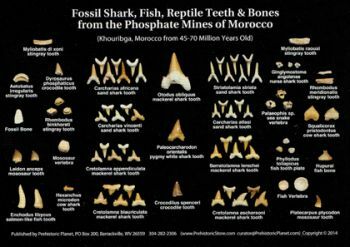 With this poster you can finally identify most of those Moroccan shark, Mososaur and stingray teeth found on the fossil market today. The poster is printed on heavy-duty 110 pound, acid free paper.